I did it I tried fish oil for the first time. Well actually I have been taking it for three weeks now. Well I am proud to say I am now a fan. As a 45-year-old woman I need certain supplements now to aid me in my senior years. I DO plan on living a very long life and I want to stay as healthy as possible. Like most people I was worried about the Fish Burps..but am happy to say after 3 full weeks of taking the fish oil I have not experienced any! I would recommend this product for anyone looking to take Omega-3 fish oil. I take it every day and it helps me feel great and feel more energized. I really feel with each day I have more energy. The soft gel capsules are easy to swallow and again DO NOT leave a fishy after taste like many other fish oil products. This is definitely a quality product for the price. My skin feels moisturized and fresh, and I have not changed any of my beauty routines. I also have noticed my hair has a bit more shine to it. Excellent Product, Quality Product. 4.9 / 5 STAR AVERAGE RATING: Happy Customers Agree That BodyVega Fish Oil Is The Best Fish Oil Available Because It Is Potent And Has NO Fishy Burps! 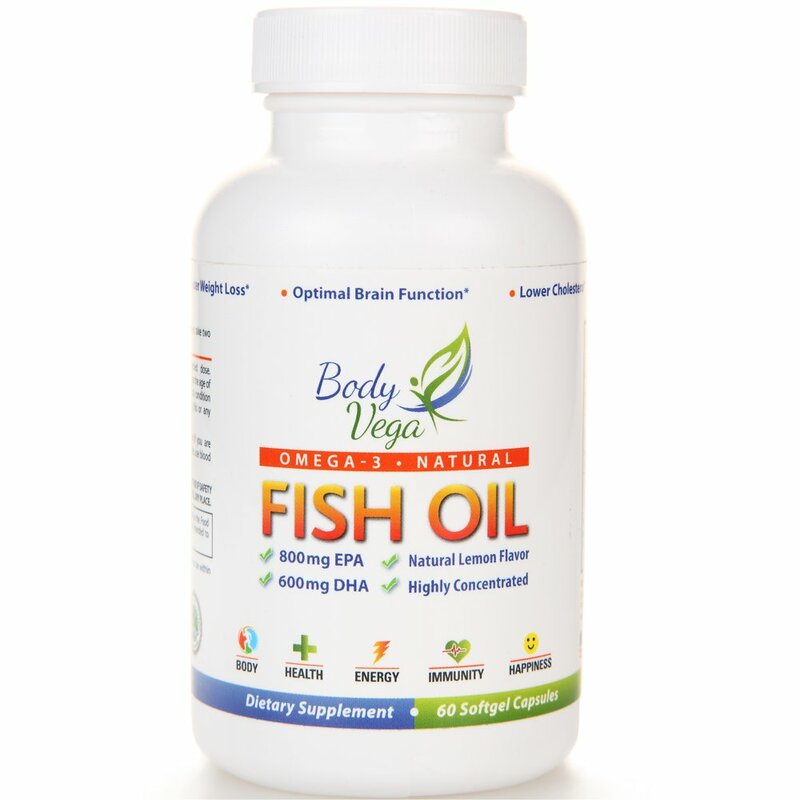 Just Read The Reviews, And You’ll See That BodyVega Fish Oil Has Unmatched Customer Satisfaction. STRAIGHT FROM THE SOURCE: From Chile and Norway, The #1 Recommend Source, So It Is Free Of Pacific Toxins Caused From Nuclear Fall Out. MAXIMUM OMEGA-3 POTENCY: Doctor Recommended 1,500mg Of Omega-3 Fatty Acids (Up To 50% More Than Competitors’) For Guaranteed Reduced Inflammation and Less Joint Pain, And High EPA and DHA Levels Support Long-Term Eye, Heart and Joint Health, While Boosting Mood, Focus, and Productivity. My Friends over at BodyVega have offered a coupon code for $5.00 off a product order by using the code: BODYFIVE. I’m taking chewable omega-3’s, but I feel like a fish oil supplement might be more effective. I’m afraid of that fishy burp, too, though, which is why I’ve steered far away from them thus far! I am so happy I found this product line, seriously no burps. My favorite improvement is the shine on my hair. I have dry curly hair normally and it has really started to show signs of repair. !